Sweet treats, scary decorations, trick-or-treaters….these are the first things that come to mind about Halloween. Have you considered that there are liability exposures associated with having guests on your property? Whether that guest is visiting for a Halloween party or just on your property long enough to ring your door bell and grab some treats, it’s important either way to make sure you are considering the safety of your property & protecting your investment. Don’t hand out or accept hand made treats! If you are hosting a party or Halloween get together, be sure that your guests have a designated driver if alcohol will be present. We also suggest that you review your homeowners policy to be sure that you have the necessary liability coverage. 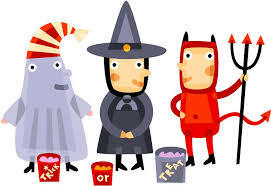 Give your agent a call to make sure you are prepared to have a Safe & Happy Halloween! !